We are a leading Manufacturer & Exporter of Civil Engineering Equipment. We are Export variety of Civil Engineering Equipment. 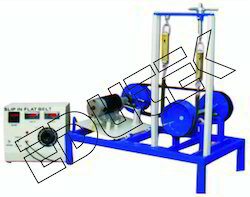 our Civil engineering Equipments are Riffle Sample Divider, Aggregate Impact Tester, Dorry Abrasion Testing Machine, Abrasion Testing Machine, Automatic Ring and Ball Apparatus etc. a) Test rig consists of a gear pump of size 25mm.x 25mm. coupled to an 1 HP AC Motor and fitted on a rigid iron stand made of M.S. angles. Oil circulates in a closed cycle from an M.S. reservoir tank of size 100 liters. through the pump to an M.S. collecting tank of size 45 liters. The tanks are provided with gauge glass scales and are fitted to the stand to form a compact unit. Suitable pipe lines with pressure and vacuum gauges connect the pump suction line to the reservoir and delivery line to the collecting tank. A modified gate valve to prevent accidental complete closure is provided in the delivery line to control delivery pressure. b) Other standard accessories include switch, stopwatch and energy meter. We are one of the accredited manufacturers and suppliers of a wide assortment of Combined Coil & Belt Friction Apparatus. 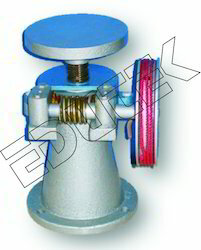 These apparatus are manufactured using high quality raw material under the supervision of quality engineers. All the products offered by us are designed in compliance with international quality standards. Clients can avail these product from us in various sizes, dimensions and other specifications. 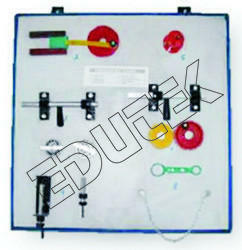 Owing to the technologically advanced manufacturing facilities, we have been able to offer a range of Kinematic Pairs. These pairs are developed and designed using high grade raw material which is procured from trusted vendors of the market. All the pairs offered by us are manufactured in accordance with industry laid norms and guidelines. Adding to this, Our entire range of products are stringently tested on the basis of physical and chemical parameters to ensure the quality of products. 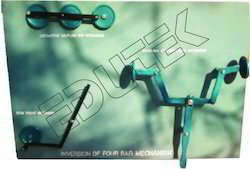 We have gained expertise in manufacturing and supplying a wide and remarkable range of Inversion of Four Bar Mechanism. These four bar mechanism are manufactured using high quality aluminum or other metals which is procured from reliable vendors of the market. All the bars offered by us are widely appreciated by our valuable clients for its high quality and high efficiency. 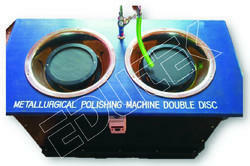 We offer premium quality range of double desk polishing machine extensively used for polishing metallographic samples. 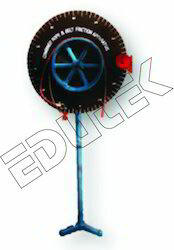 Procured from our reliable vendors these are provided with double disc, driven by high torque DC motor. The paper holding band and water faucet enhances dry/wet grinding and assist in final lapping. Used for microscopic observation to study metal structures, these machines are finely polished to ensure smooth, scratch free and mirror like appearance that enable accurate metallographic interpretation. Observe and see the condensation phenomena. Calculate the Inside, Outside & Overall heat transfer coefficient during condensation. To calculate Pr, Re & Nu number in drop & film condensation. 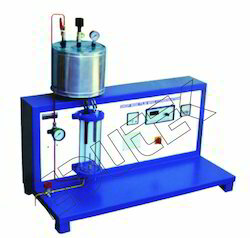 The experiments can be conducted at various input pressure & calculation can be made accordingly. 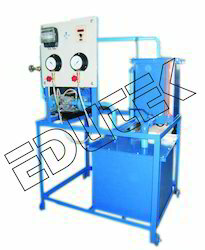 Steam Generator : 8 Ltr Capacity. 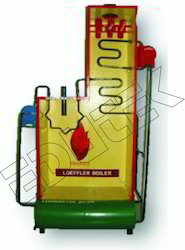 Electrical Heater for steam generator 2 Kw. Drop & Film condensation walls. Cooling water measuring cylinder with stop watch. 12 Channel Digital Temperature Indicator Heater On/Off Switch. Main's On/Off Switch. Voltmeter :0 - 250 V.Ammeter :0 - 15 A.